Pro Ride's Freeride snowboard training programs are led by experienced world class snowboard coaching staff. 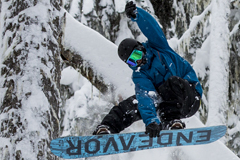 Build your core riding skills by learning to carve, explore powder, trees, steeps, jumps while having an epic time exploring both Whistler and Blackcomb Mountains. 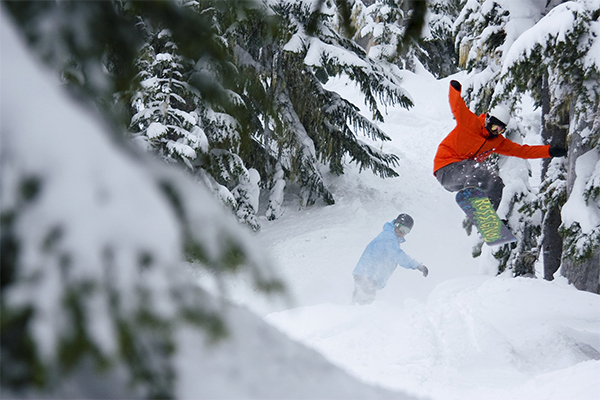 With over 8,171 acres of terrain, including 16 alpine bowels and one of highest vertical drops in North America, Whistler is the ultimate place to improve all aspects of your riding. Our Coaching staff are all qualified and fully experienced to progress you’re riding to the next level whether it be carving for the first time, riding trees, jumps, powder or double diamond steeps. Groups are split based on ability level to make sure you achieve your personal riding goals. Pro Ride's freeride camps and courses are also a great way to start developing your technical riding skills for those that would like to teach snowboarding in the future. 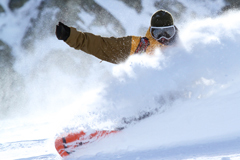 Snowboard improvement programs range from 5 days to 12 weeks from Dec- April every year. "Thank you so much for the incredible experience I had with Pro Ride! I loved every second of my season in Canada, Whistler is such an amazing place. The training and coaches at Pro Ride were of a very high standard, and I feel like I learned more than I ever thought I would be capable of. My Whistler experience was about so much more than snowboarding though... Pro Ride made me feel like part of a 'family' from the first day I arrived in Canada, I met some very interesting people and made some great friends for life. I couldn't recommend it it enough!!!"